Thiruvananthapuram: A spat has erupted between rival fronts in Kerala over the ruling CPI(M)''s allegation of an "unholy alliance" between the Congress and BJP, with former Chief Minister Oommen Chandy saying the Marxist party was coming out with wild allegations as defeat was looming large. Meanwhile, Chief Minister Pinarayi Vijayan took potshots at the opposition Congress-led UDF and said the Front had been trying to forge an alliance with the RSS and the SDPI for the Lok Sabha elections even as it calls itself a "secular" party. CPI(M) state secretary Kodiyeri Balakrishnan had on Wednesday alleged that there was a secret understanding between the Congress-IUML-BJP due to which the latter had put up weak candidates in five constituencies. Balakrishnan had alleged that the RSS leadership had given instruction to the BJP to field weak candidates in five seats to help the Congress party. Earlier, the Indian Union Muslim League (IUML) allegedly had political discussions with the Secular Democratic Party of India (SDPI), the political wing of Popular Front of India (PFI). 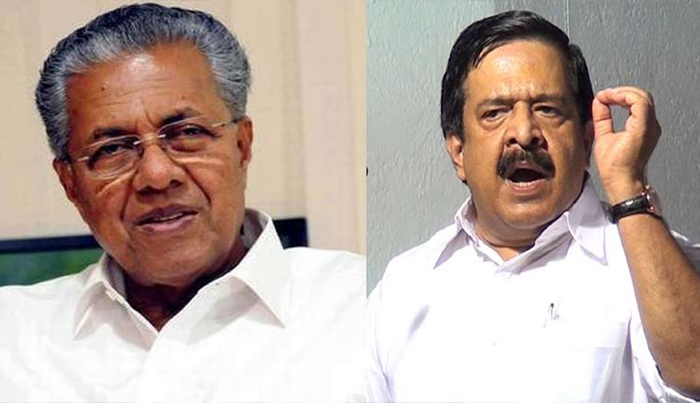 IUML is the second largest partner in the Opposition United Democratic Front (UDF). Chandy, however, categorically denied any link with the BJP and said the coming election was a fight between Congress Chief Rahul Gandhi and Prime Minister Narendra Modi. "The Congress and the UDF has got no connection with the BJP. We never have had direct or indirect connection with them. The coming Lok Sabha election is a fight between Rahul Gandhi and Narendra Modi. It''s between the Congress and the BJP. There is no compromise. We stand for democracy and secularism," Chandy told reporters here. He said Gandhi has been bringing together all the democratic secular forces to fight against Modi and the BJP. Lashing out at Balakrishnan, Chandy said such a statement was "out of his fear of defeat." "Because UDF has put very strong candidates in all the constituencies, they are afraid of our performance. We are quite confident about this election that we will win," Chandy said, adding that the ruling LDF does not want people to talk about its failure. However, Vijayan said the UDF was desperate and was trying out various permutations and combinations for this election. "There were news that the UDF has been trying for tie-ups with the RSS and the SDPI. Since the links are with both parties, now they (UDF) can claim to be a secular party", he said, taking a dig at the congress-led front. "Secularism means opposing communalism without fail and it cannot be changed for the sake of a few votes," Vijayan said.